Whether you lift weights, run on a regular basis, or perform a range of different activities, you probably already know one of the biggest pet peeves any athlete encounters on a regular basis: skin troubles. 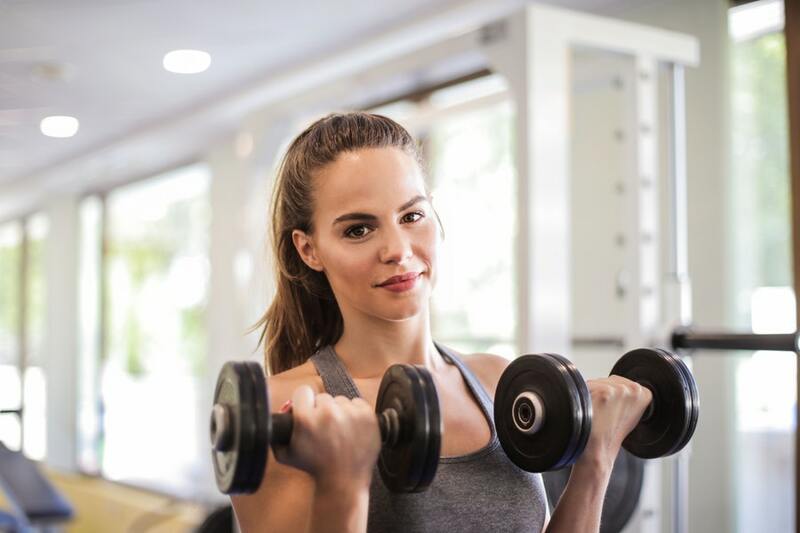 They might be as mild as an occasional blackhead, or even something more severe such as full-blown acne, but impurities of all sorts tend to be a common problem for active people who work out regularly, if not even daily. Most are wondering: is it because of all the sweat? Technically, no. Sweating is one of those natural bodily processes that help your body detox and regulate temperature, and it’s meant to help remove any toxins that might be found on your skin as well. Hence the doctors’ advice to hit the sauna. However, there are other issues that lead to skin troubles when you’re an athlete, and here’s how to avoid them! Yes, those tank tops, leggings, as well as your accessories such as straps, wraps and the like, can be teeming with unfriendly bacteria when unwashed properly and after every training session. However, in addition to basic hygiene, the kind of fabric also matters, because simply soaking your clothes in fresh sweat doesn’t do you much good. On the contrary, it prevents the sweat from truly leaving the pores and it causes irritation. That is why breathable materials in your gym bag and ones specially designed to keep your skin dry by removing sweat from direct contact with your skin are good choices for your training. What you do outside of the gym (or the running track, or whatever your passion may be) also matters deeply for your complexion and your skin health. First and foremost, if you have a severe skin issue such as acne, you cannot expect a simple soap wash to do the trick. You need to choose from a range of adult acne treatments that are specifically designed to target that particular skin issue. From acne-friendly exfoliation, to proper cleansers, toners, and moisturizers, you need to tackle the problem with a specific solution. Check with your dermatologist if any of your lifestyle habits such as your diet could use a tweak to help resolve the situation. Just like you have your warmup to make sure your muscles are firing, your skin requires a bit of prep in order to endure the workout you’re about to perform. For example, too many ladies leave their makeup on or they don’t remove it entirely before training, and that means clogging your pores when they need to let the sweat out. Then you simply let dirt, as well as product, build up in your pores. If you’re wearing perfume or anything else that’s clogging your pores, the same logic applies. You need to completely rid your skin of any products before you start training, or else you might be causing that blackhead chaos. Not too many people have the time, the energy, let alone the products to clean their skin immediately after a workout. A quick shower can help remove the sweat as well as the excess dirt which is bound to build up if you’re sharing equipment, which will prevent too much irritation for your acne. You can even pack a smaller bottle of a facial cleanser to remove any residue dirt after the shower. No time to shower? Pack those acne pads that are intended for your face, especially if you already have acne or a similar skin issue. Combine it with a quick cleanser we’ve mentioned above, and your skin will be ready for the day ahead, without the inflammation brewing from your busy training session. Finally, certain factors that might be adding to your flared skin are most typically out of your control – to an extent. If you’re a frequent gym goer, you know how many people, both the ones that take care of their hygiene and those who don’t, pass through that space every day. Chances are, the staff doesn’t have the time to clean the gym frequently enough for your skin to be unaffected. If you have sensitive skin and especially if you have acne, go the extra mile, not for the gym, but for you. Bring your own sanitizer in a spray bottle and a wipe, and clean the gear you use before and after you use it, whether it’s a barbell, a weight plate, or a kettlebell. Do your best to take things into your own hands! Acne and other skin issues have always been every athlete’s occasional issue. Make sure to apply these simple behavior changes, tweak your routine, and you’ll surely give your skin a chance to recover and become radiant once again!